Sampada Bodkhe‘s PhD work on 3D printing of piezo-electric sensors has been selected by Quebec Science magazine in its Top-10 Discoveries of the Year 2018! The breakthrough allows 3D printing at room temperature of a deformation sensor and its electrodes in one step. We demonstrate how this can be used to make smart clothes that measure breathing or movement. We also demonstrate how one can print embedded sensors on a miniature drone wing allowing to monitor in real time its vibrations. Visit the Québec Science website to vote for her invention and make it the Top discovery of 2018 in Quebec! Plants bend and twist when they are subjected to wind and gravity, even more so when their structure is chiral, i.e., twisted along its axis. 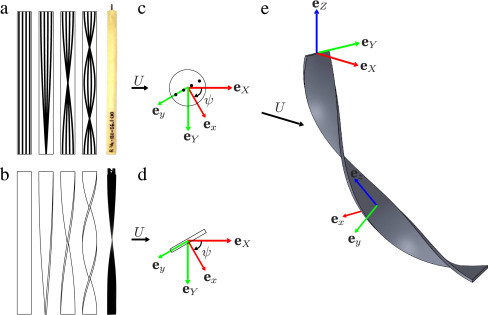 In this paper published in Extreme Mechanics Letters, we investigate the effect of chirality on the bending and twisting deformation of a rod and a ribbon in a wind tunnel. Trees bend and twist when subjected to wind. This deformation, or reconfiguration, allows the tree to reduce its drag. 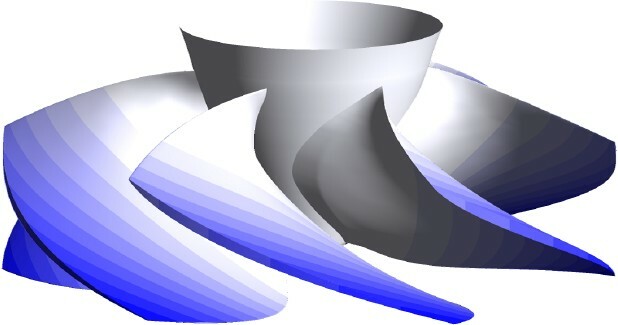 In our paper published in the Journal of Fluids and Structures we investigate how torsional and bending deformations play different roles in reconfiguration. We investigate this through a combination of wind tunnel experiments on flexible reinforced foam rods and a theoretical Kirchhoff rod model. Our paper on the developpement of an instability-assisted microfabrication technique base on the liquid rope coiling instability was accepted for publication in Advanced Materials. Back cover of june 24th 2015 issue of Advanced Materials. 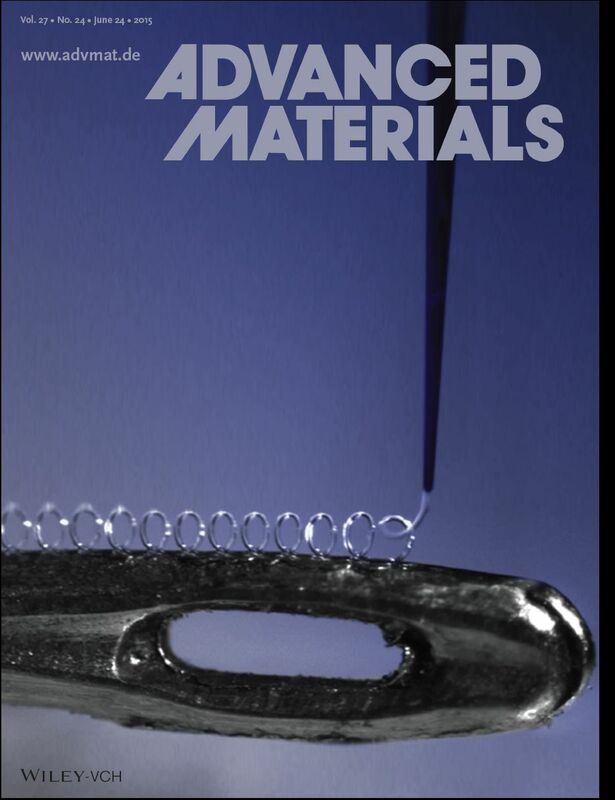 In the figure above, featured on the back cover of Advanced Materials, a 30 μm diameter thread of poly(lactic acid) (PLA) dissolved in dichloromethane is deposited on top of the eye of a sewing needle. The deposition robot traces a straight line; the helical shape of the thread is due to the liquid rope coiling instability. This instability is used to fabricate microstructured fibers with tailored mechanical. 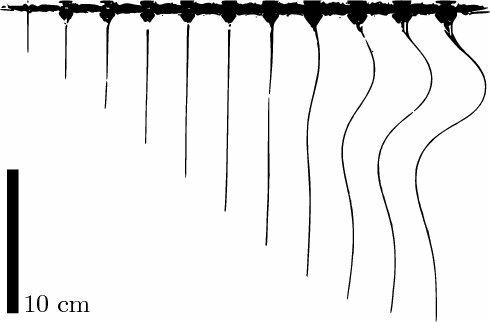 Our work on the extrusion of a beam in a viscous fluid was published in Physical Review E. This project was inspired by the emergency swimming gait of unicellular Paramecium which expels Trichocysts to propel itself away from danger. Time-lapse photography of a piano wire extruded at constant velocity in corn syrup. 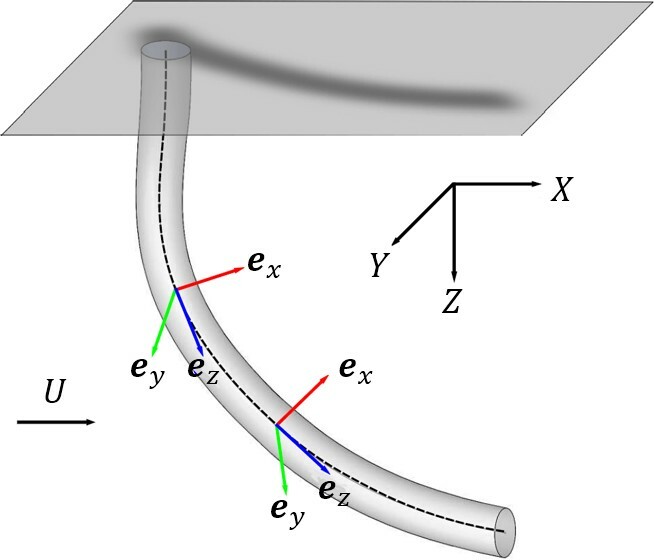 Our paper on the dynamics of a hose used as a stratospheric shield was published in the Journal of Fluids and Structures. We study the stability of a vertical 30km-long pipe used to pump sulfur dioxide in the stratosphere to control the climate. 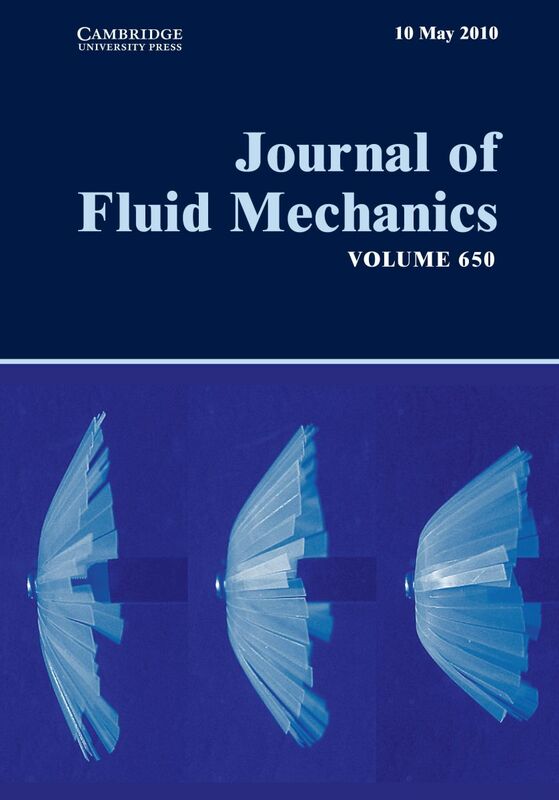 Our work on the reconfiguration of flexible plates was featured on the cover page of the Journal of Fluid Mechanics. The JFM edition of may 10th 2010 shows three photographs of circula disks cut along many radii bending in the wind.